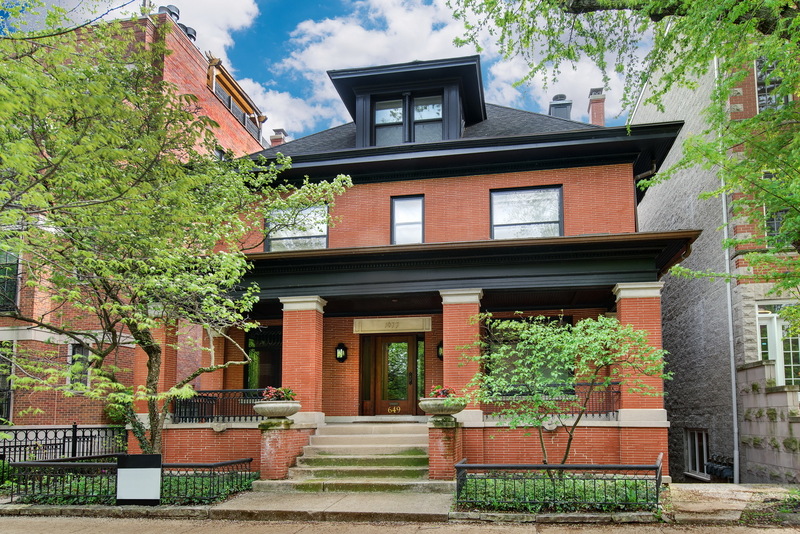 Rare opportunity for a double lot, classic American foursquare home designed by notable architect, BJ Hotton in A+ East Lakeview location. This historic home has been thoughtfully restored to accommodate modern living, while maintaining classic features such as museum quality stained glass wndws & gorgeous moldings & woodwork throughout. An original grand staircase welcomes you into the home, along w/a formal living rm & library. The updated kit offers all top end appls, granite counters, & a blt-in brkfst nook. The adjacent formal dining rm overlooks the lush yard & is open to the formal living rm. The wide footprint allows for 4 generous br&apos;s on one lvl. The mstr ste has a great closet & a luxe bath w/dbl showers & sep tub. The super sunny, top floor fam rm is the perfect place for a game or movie night. This lvl offers a great guest suite & sundeck as well. Sep 2 br LL apt w/kit & 1.1 baths can easily be incorporated into the main home. Too many features to list! 3car gar+pkg pad.